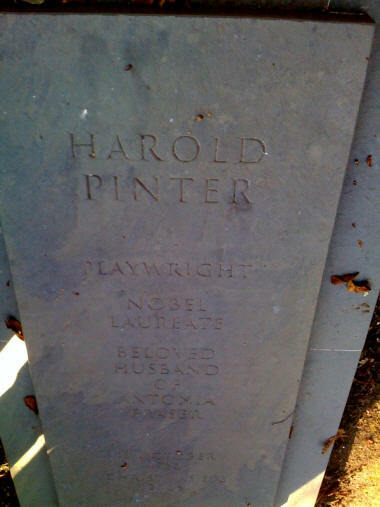 Harold Pinter's grave in Kensal Green cemetery, London. 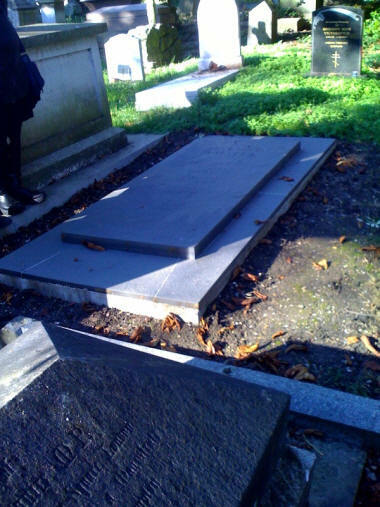 The unmarked grave shortly after burial. 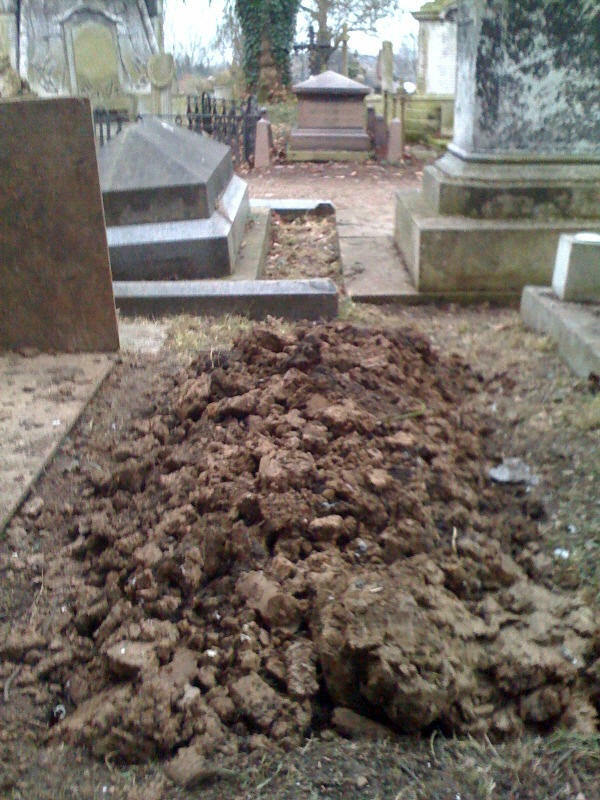 The soil has to settle for a year before the gravestone is added. Other people buried in the cemetery include writers Anthony Trollope, William Makepeace Thackeray, Wilkie Collins, Leigh Hunt and playwright Terence Rattigan; engineers Marc and Isambard Kingdom Brunel; Dickens illustrator George Cruikshank; computer inventor Charles Babbage; industrialist Carl Siemens; and Emile Blondin who crossed the Niagara Falls on a tightrope.